We want to explain some of the terms we use when we talk to you! Each industry has its own distinctive way of talking. In banking you use terms which people who work in the industry, understand. But people outside of the industry struggle to understand the ins and outs of the banking world. In the same way the medical scheme industry, and therefore Bankmed, uses terms to describe things in our world. While we understand the special terms we use, we know that some of the terminology can mean less to you than it does to us. 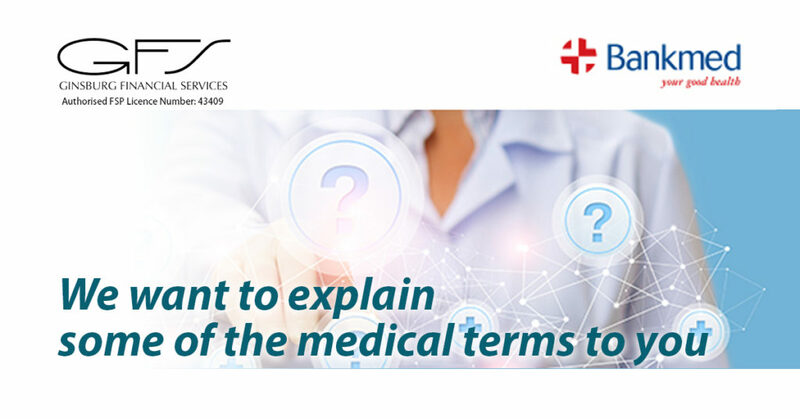 That is why we have put together a collection of terms we often use and explain what they mean for you. We have attached the list with the terms and explanations to this email so you can have it handy whenever you want to double-check what a specific term means.